Country duo Doc Walker had their origins in small-town Manitoba, Canada, where guitarists, vocalists, and songwriters Chris Thorsteinson and Dave Wasyliw grew up together in Portage La Prairie. By the time Thorsteinson and Wasyliw were 14 years old they had already formed the group Freedom and were doing local gigs. In time the name morphed into Doc Walker and it became just Thorsteinson and Wasyliw working socials, fairs, and campgrounds as a duo. With over 20 Top 10 singles, Doc Walker is one of the most recognized Canadian country acts of the past two decades. The group has received multiple Canadian Country Music Awards, including Fans‟ Choice, Group or Duo of the Year, CMT Video of the Year, Single of the Year, and Country Music Program or Special of the Year. In addition, Doc Walker has been nominated for several JUNO Awards for Country Album of the Year, including a win in 2009 for the album Beautiful Life. The band‟s seventh album, 16 & 1, released in 2011, was a bit of a sea change for the group musically, but still reflected the values that have made the band enduringly popular over time. 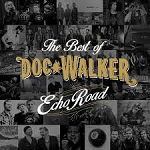 Fresh off of the 2016 CCMA Awards, which saw Doc Walker host the SOCAN Songwriter Series, the Country music legends are gearing up for a fall tour, with Echo Road: The Best of Doc Walker set for release on September 30, 2016.